Our product range includes a wide range of miniature force transducer (am series). 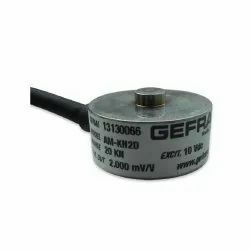 We have marked a distinct position in the market by providing our clients with an excellent quality range of Miniature Force Transducer. The transducer provided by us is manufactured by utilizing excellent quality components and state-of-the-art technology in tandem with industry quality standards. This transducer is available in various technical specifications for meeting the specific demands of our esteemed clients. For assuring its long service life, this transducer is stringently tested on various quality parameters.